LED lighting seems to be rapidly replacing every other type of lighting technology. Over the past 10 years I’ve noticed places such as restaurants, streets, cars, schools, shops, and homes update their lighting fixtures to use LEDs. On the surface, the move totally makes sense. LED lights are extremely energy efficient, last many years longer than traditional incandescent bulbs, and don’t horribly poison you and your family when they break open like compact fluorescents. There are a lot of very good reasons to love LED lighting. But there is a huge problem with most LED light bulbs people are putting in their homes…. the light they emit looks unatural. Let me explain. There are many characteristics to quality home lighting and LEDs struggle with a very important one: Color Rendering Index, abbreviated CRI (and sometimes known as Color Accuracy). CRI is a measure, up to 100, of how close the light produced by the bulb looks like light from the Sun at the same color temperature. I know that’s a bit confusing. That means a 5000K bulb with a CRI of 100 will look like light from the Sun around midday (blueish white) while a 2700K bulb with a CRI of 100 will look like light from the Sun around the evening (somewhat yellow). Even though both bulbs have different colors, since they both emit light equally similar to sunlight, they both have the same CRI. CRI has little to do with the color of the light and everything to do with the emitted spectrum of the light. Sunlight has a continuous spectrum, meaning the light contains every color and objects hit with the light can reflect every color. Light sources with a poor CRI however, will have gaps in their spectrum, indicating missing colors that can never be reflected by objects the light is hitting. The result is a light that makes furniture, people, and other things in your house look odd and unnatural. Gross. 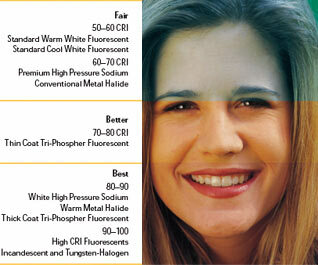 Most standard LED bulbs have a CRI of 85 or less. 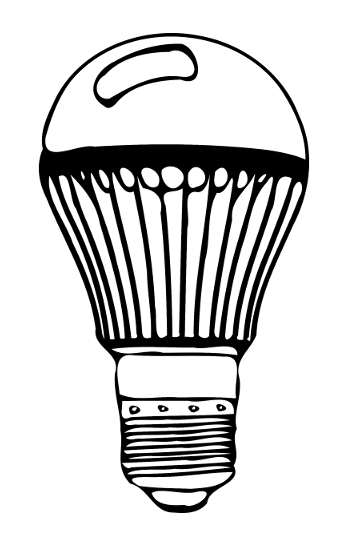 Most old fashioned energy sucking incandescent bulbs have a CRI of… 100. That’s right. 100. This unnatural light problem is one of our own making. Incandescent bulbs didn’t have this problem. The bulbs' CRI were below 85. LED manufacturers don’t think customers understand what CRI is or that LEDs tend to lack it. On Amazon I had more luck. 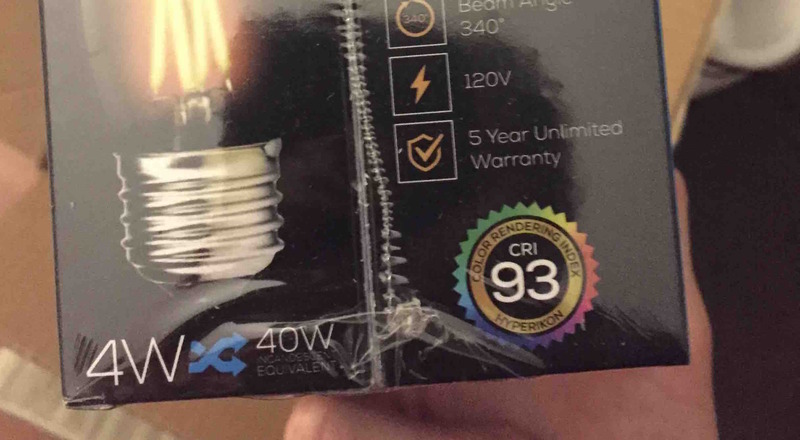 They don’t let you filter by CRI (FIX THIS AMAZON) but if you search for something like “LED bulb CRI” you’ll find a few different types of LED bulbs with labels proudly announcing their higher CRI. A bulb manufacturer who is proud to display their LED bulb’s CRI is rare. I have been trying out various color temps and bulb types of Hyperikon’s 93 CRI bulbs and have been surprised at how incandescent-like they look. 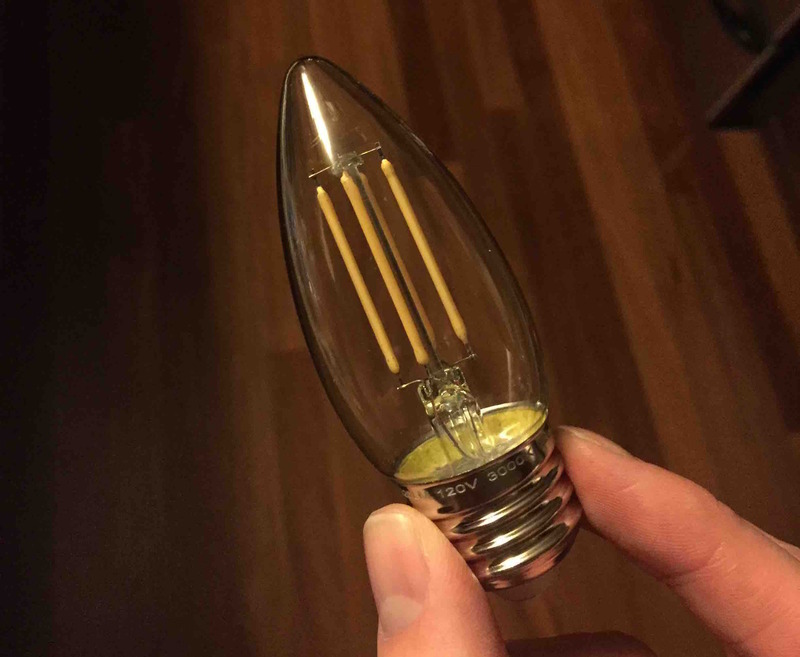 The 2700K version of this Edison-type bulb, with a CRI of 93, is my favorite so far. In the past, I had ignorantly installed dozens of standard LED bulbs, and after replacing them with the more color accurate bulbs, my house interior feels naturally lit. It’s like I have turned off an awful Instagram filter in front of my face, that I never realized was always on.